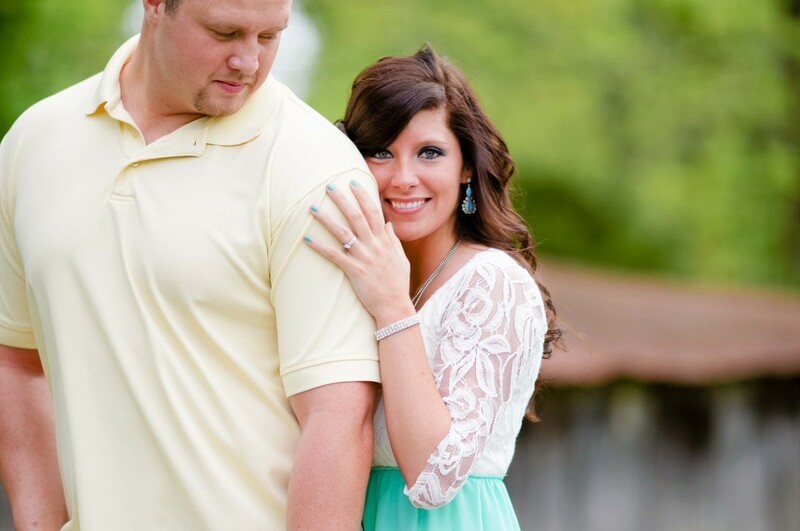 Brianna contacted me about possibly photographing her wedding and engagement pictures. I was so bummed when I realized that I was not available for her wedding. Most of the time brides will want to have the wedding photographer capture there engagement pictures also, so I was prepared to wish her well and send her on her way. So this beautiful, funny, sweet, amazing couple drove hours to meet up with me on my family farm to capture these gorgeous memories. And how lucky we are when we find it. Although I am not capturing their wedding day ( yes I'm still pouting) I can't wait to see the pictures from their wedding day.I can't wait to see how happy they are on the day they say I do.